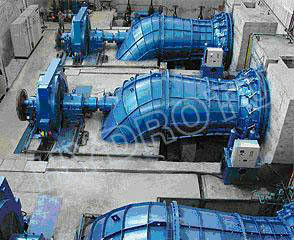 S type turbine is suitable for heads from 2m to 20m and large discharge hydropower station. S-type tubular turbine is Available in versions of Horizontal Kaplan, also called S-type horizontal Kaplan. 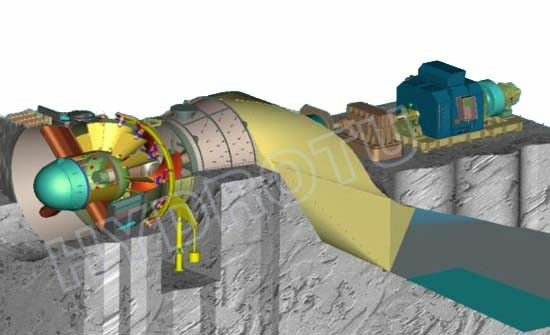 lts feature is that the water flow is axial throughout the passage from the inlet to the outlet, so that the passage is a straight conduit essentially.The turbine shaft passes out of the tube at the point where the tube changes direction, installation is ether with the transfer belt or directly connected to the generator. This modern turbine is characterized by high efficiency in a broad band of flow rates. S-type turbine is also consist of fixed runner blades and movable runner blades.